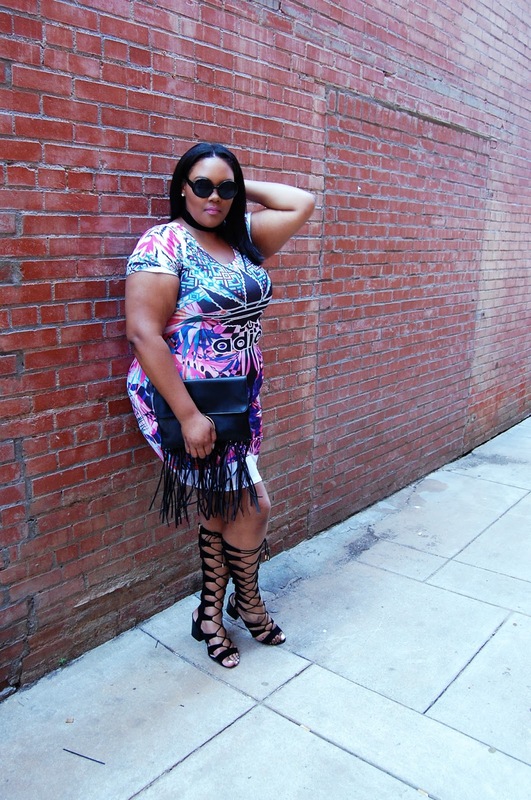 Every now and then I become obsessed with trends. 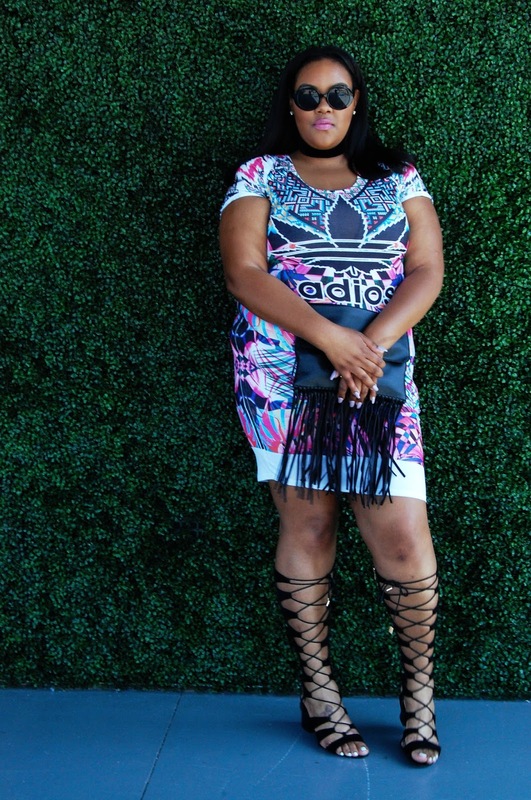 I've blogged before about athletic wear being big in women's fashion. 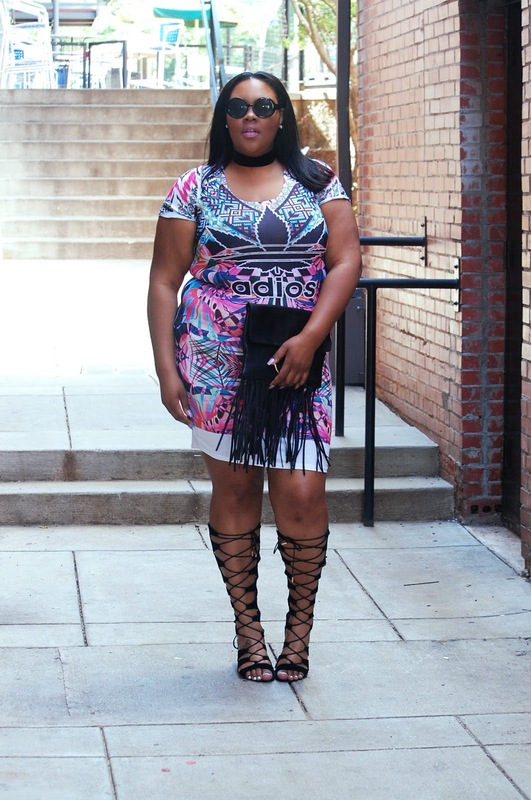 This dress from Pinkclubwear put a rebellious twist on ADIDAS and incorporated hints of the dashiki trend. 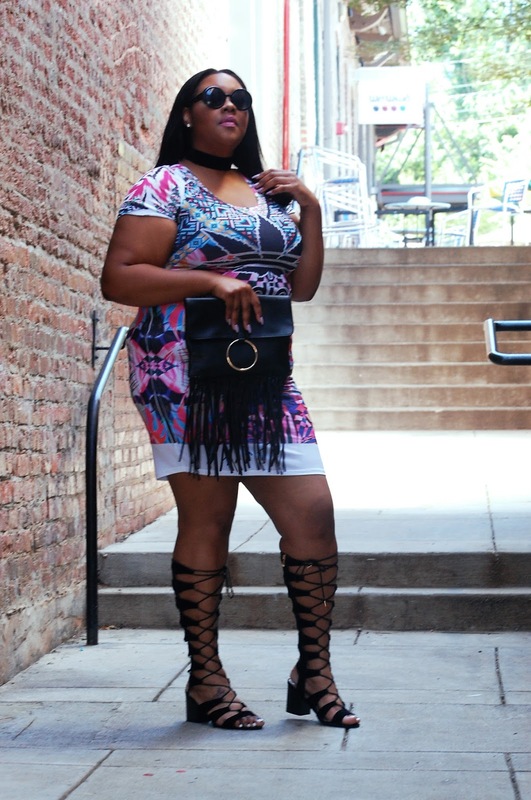 Being a lover of all things black, a fringe clutch and knee-high gladiator sandals complete the ensemble. 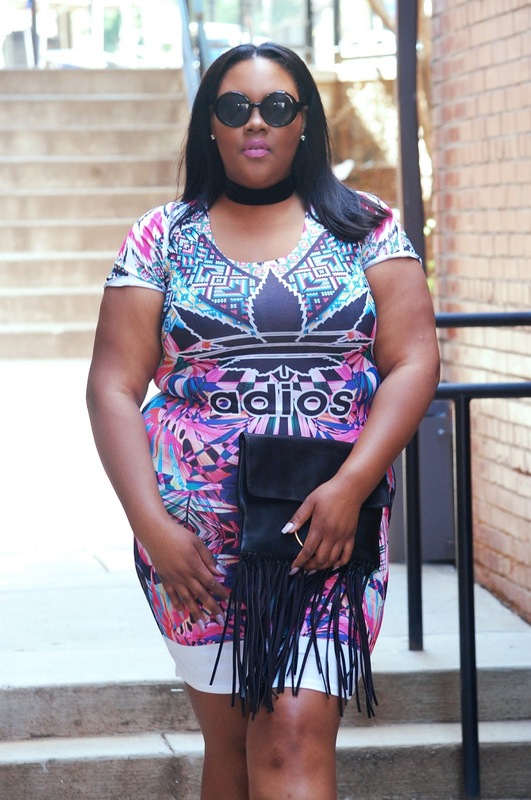 I definitely stepped out of my comfort zone with this bold dress, but fashion is all about fun and taking risks!